It isn’t a secret some of us are guilty of living off pizza, Chipotle or PB&Js. Fortunately for you, these two Pinterest-inspired recipes don’t require a pro in the kitchen, and I guarantee they will impress everyone who thought you couldn’t cook to save your life. If you’re anything like me, you often contemplate your fourth trip of the week to Taco Bell. But after multiple bean burritos, my body screams for something wholesome and healthy. This easy-to-make Mediterranean salad is a great way to get your daily dose of veggies and makes a colorful Instagram post for all the foodies out there. 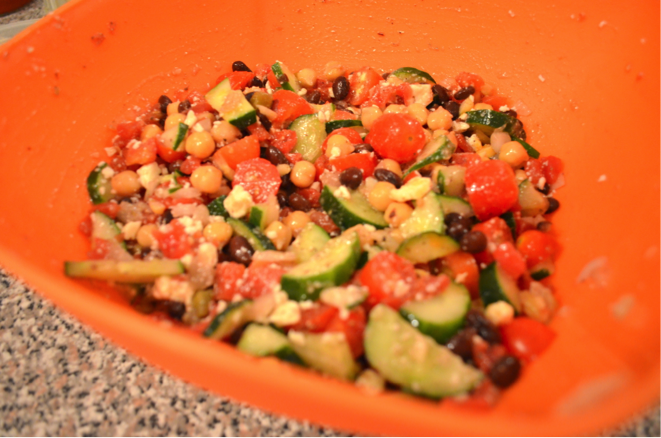 Empty diced tomatoes and green chilies, garbanzo beans, black beans and sliced black olives into a large bowl. Slice cherry tomatoes into halves. Dice cucumber and white onions. Place cherry tomatoes, feta cheese and diced cucumber and onions in a bowl with the rest of the ingredients. Add extra virgin olive oil to bowl. Sprinkle Italian seasoning, and thoroughly mix contents. Thanksgiving will be here before we know it, and these cheesy stuffed mushrooms make the perfect hors d’oeuvres. This quick appetizer requires few ingredients and short preparation time. Plus, you can add your own ingredients like crab meat, sausage or shrimp to give the recipe your own original twist. Use a wet cloth to rinse off any dirt from mushrooms (if you rinse them, they will get slimy). Remove the stems from all of the whole mushrooms. 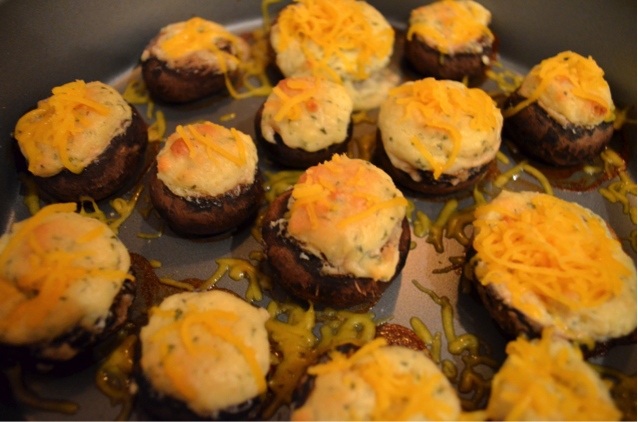 Use a butter knife to fill the middle of the mushrooms with cheese spread. Cook mushrooms for about 15 to 20 minutes or until tender. Remove pan, and sprinkle mushroom tops with cheddar cheese. 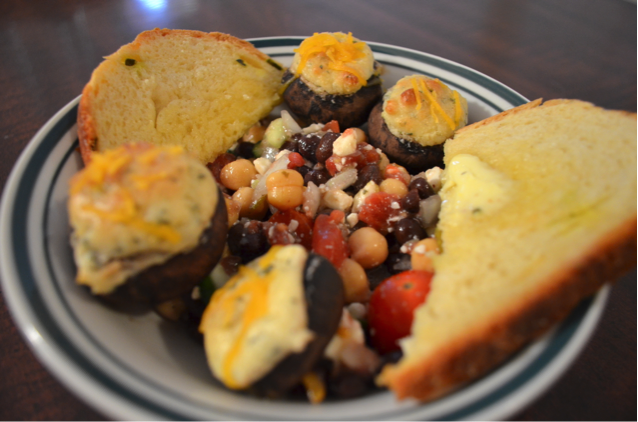 Pair the two recipes together, adding toasted bread and butter, and you’ve got yourself a home-cooked meal!